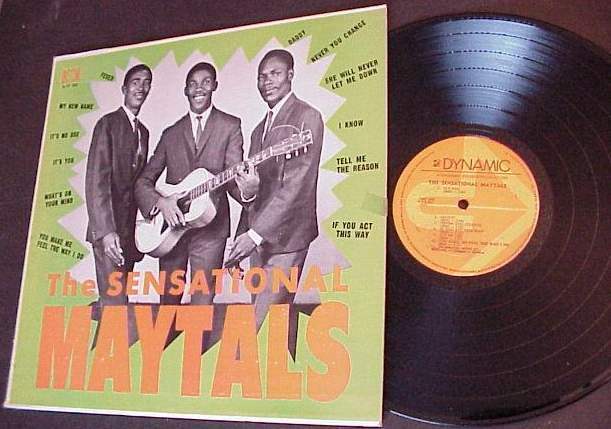 THE SENSATIONAL MAYTALS! Sensational they certainly are as this group of singers made a meteoric rise to fame with the development of SKA approximately a year ago. Since then they have come out with no less than six number 1 hits. In fact every tune that they have recorded to date has been on the Jamaican hit parade and among them, the most popular have been, 'Pain In My Belly', 'Dog War', It's You', 'Never You Change' and 'My New Name'. This album includes the last four. They created Jamaican musical history when both sides of one of their records became number 1 on both hit parades. These tunes were 'Daddy' and 'It's You'. The only other record to have done this was a foreign record by the popular American Singing Group, 'The Drifters'. Although released in November of 1964, 'It's You' and 'Daddy' have been on the top-ten sales for the past six months and is now rising to the top of the charts in England. 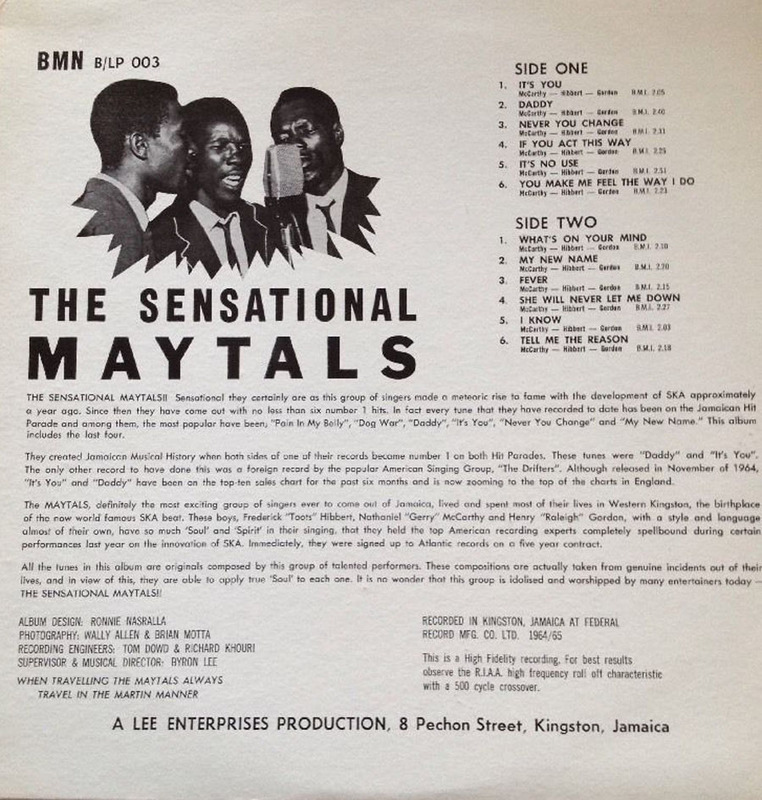 The MAYTALS, definately the most exciting group of singers ever to come out of Jamaica, spent most of their lives in Western Kingston, the birthplace of the now world-famous SKA beat. These Boys, Frederick "Toots" Hibbert, Nathaniel "Gerry" McCarthy and Henry "Raleigh" Gordon, with a style and language almost of their own, have so much 'Soul' and 'Spirit' in their singing, that they held the top American recordings ezperts completely spellbound during certain performances last year on the innovation of SKA. Immediately, they were signed up to Atlantic records on a five year contract.